A romantic comedy that finds the often elusive magical balance between love and laughs, The Wedding Singer is a lot of fun. Adam Sandler has rarely been better, and Drew Barrymore consolidated her comeback and relaunched her career with the approachable girl-next-door persona. 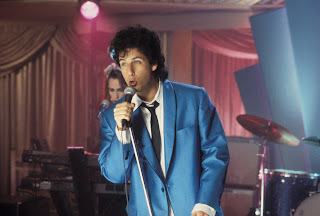 It's 1985, and in a smallish New Jersey town Robbie Hart (Sandler) is the go-to wedding singer, invited with his band to perform cheesy favourites and keep the merriment on an even keel as the nuptial celebrations get going. While performing at a wedding, Robbie meets sweet waitress Julia Sullivan (Barrymore), and they become friends. Kind hearted and sensitive, Robbie is devastated when he is stood-up at his own wedding. His bride-to-be Linda (Angela Featherstone), a rock chick who never grew up, decides that he is too boring and leaves him standing at the altar. Julia is engaged to be married to the very wealthy Glenn Gulia (Matthew Glave). As a broken-hearted Robbie helps her with the wedding preparations, he realizes that her future name of Julia Gulia is just one problem. Robbie uncovers Glenn as a first class egotistical sleazoid who does not hesitate to cheat on his fiancée, and with no plans to stop his womanizing after marriage. In the meantime Robbie and Julia and beginning to fall in love, which is further complicated by the sudden re-emergence of Linda looking to win Robbie's heart back. Tim Herlihy's screenplay is razor sharp and witty. Full of references to the more cringe-worthy cultural artifacts of the 1980s, The Wedding Singer is a love letter to the decade of Culture Club, Madonna-inspired fashion, Van Halen in their prime, a snarling Billy Idol, and Kajagoogoo. The soundtrack is brimming with favourites from the era, a perfectly awkward backdrop to the sweetly irresistible corn of obvious romance. Frequent Sandler director Frank Coraci sets an uptempo pace and otherwise keeps a light touch at the controls, yielding to the inherent power of a budding romance between two appealing leads. 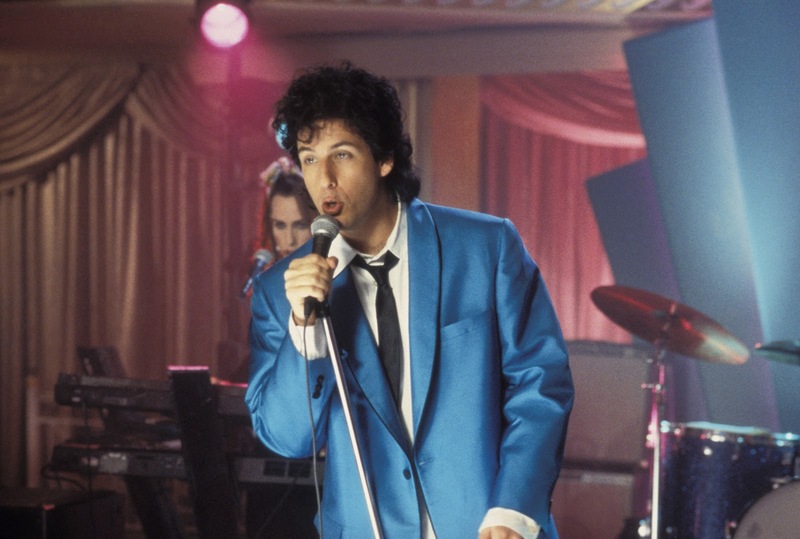 The Wedding Singer mercifully abandons Sandler's more juvenile and crude tendencies. Here he is relatively subdued, mostly calm and intelligently funny, a character that is actually likable as an adult. Barrymore is cute, perky and adorable almost to a fault, and the chemistry with Sandler is almost instantaneous. The secondary cast does lack some punch. The supporting characters include Julia's cousin and Madonna wannabe Holly (Christine Taylor), and Robbie's best friend and local limousine-driver-for-hire Sammy (Allen Covert). Jon Lovitz and Steve Buscemi make uncredited cameos, and both shine bright in very brief appearances. In a genre with few surprises and predetermined endings, The Wedding Singer deserves a toast for getting everything else right.